So needless to say that meant Anika and Emma quickly became roomies, which has its advantages and disadvantages. It’s nice when they are getting along and can play together and tell each other secrets, though at times it’s getting a bit more challenging because Anika is 4 ½ years older, so some of the things she likes vs. what Emma likes are completely different (down to the style of their favorite KLEENEX® tissue boxes!) and then – they fight. 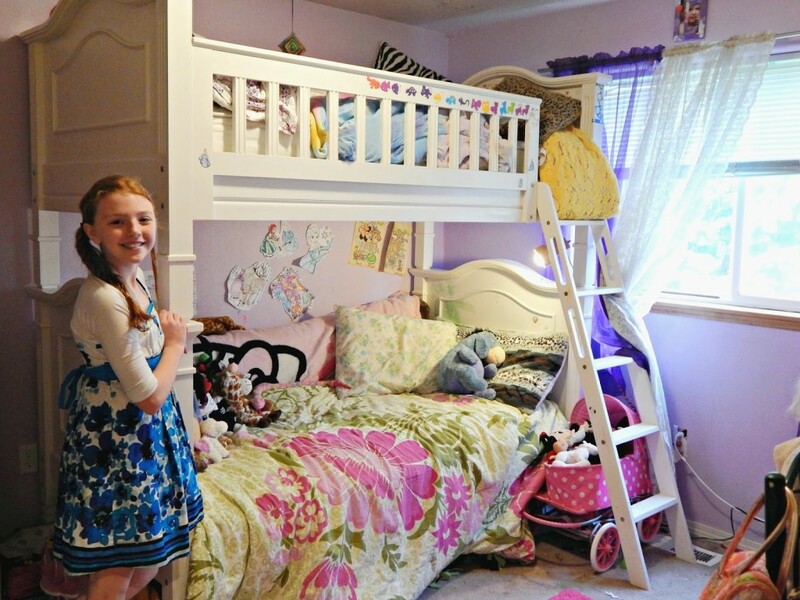 My sister and I shared a room for many years growing up and although we were only a year apart, I still recall the two of us doing silly things like dividing the room into half and hanging blankets across as a divider wall, etc., so I know sharing a room isn’t all that easy. In either case, there are a few things we’ve done to make room sharing a little more bearable. 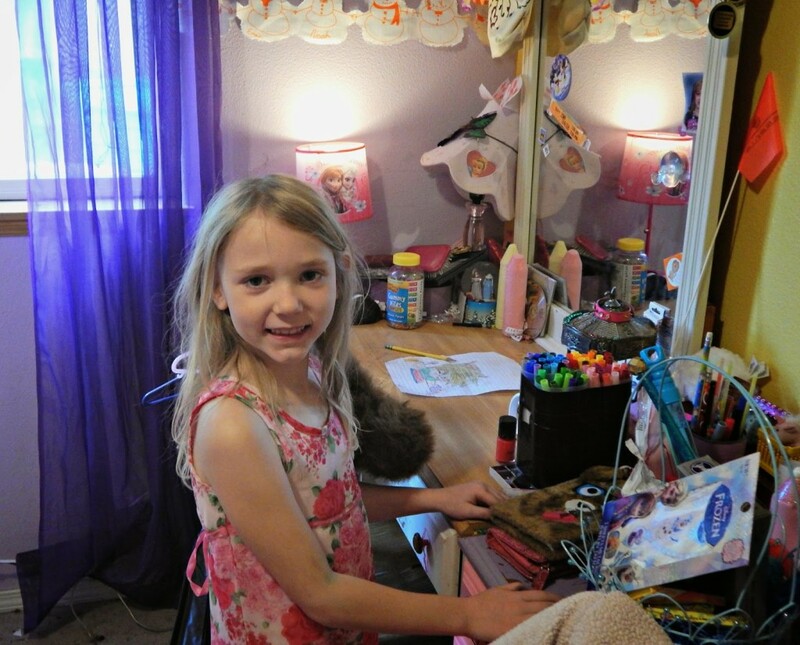 1.Create separate spaces for each child – in other words, let them each have their own dresser and desk. It may take up a little more room, but it’s important for them to each have their own personal space. 2.Establish rules on belongings – the girls still have a lot of the same interests such as creating art, but we’ve made it very clear that each of them needs to ask permission prior to using the other’s things, and it the answer given is no, you have to accept that. 3.Allow them each to have their own sense of style – letting them choose special décor accents, whether it’s the paint colors (we currently have half of the room pink and the other half yellow), or things like the style of Kleenex’s they want to keep in their room! 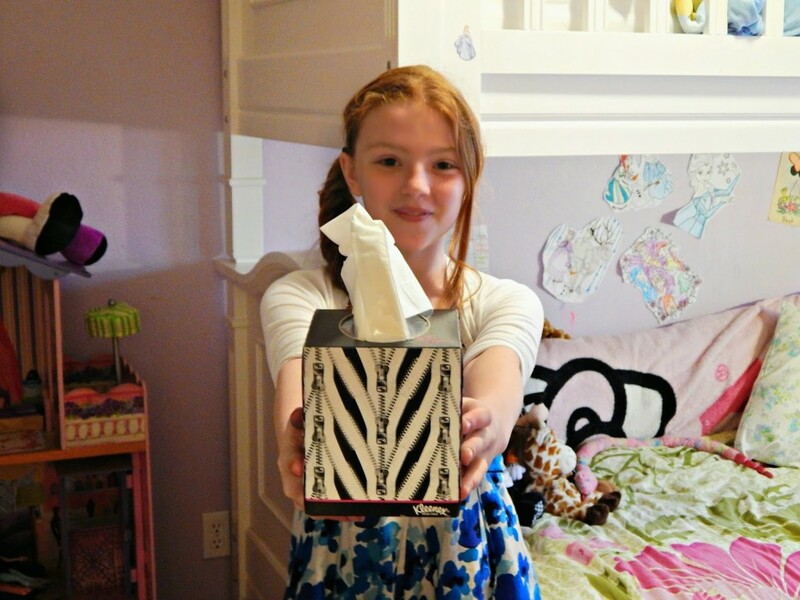 When we were shopping at Fred Meyer’s last week Anika immediately fell in love with these KLEENEX® Betsey Styled Single Packs (74ct.). They come in Styled Single Packs (74ct.) 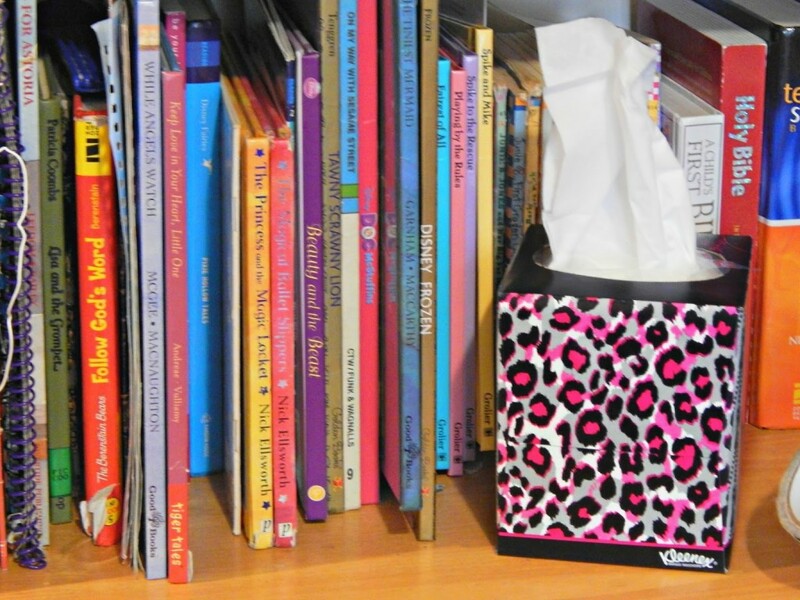 and KLEENEX® Betsey Styled Wallet 3 Packs and are fun, colorful, and let her personalize her corner of the room just how she want’s too – plus with different designs no one will fight over whose is whose. 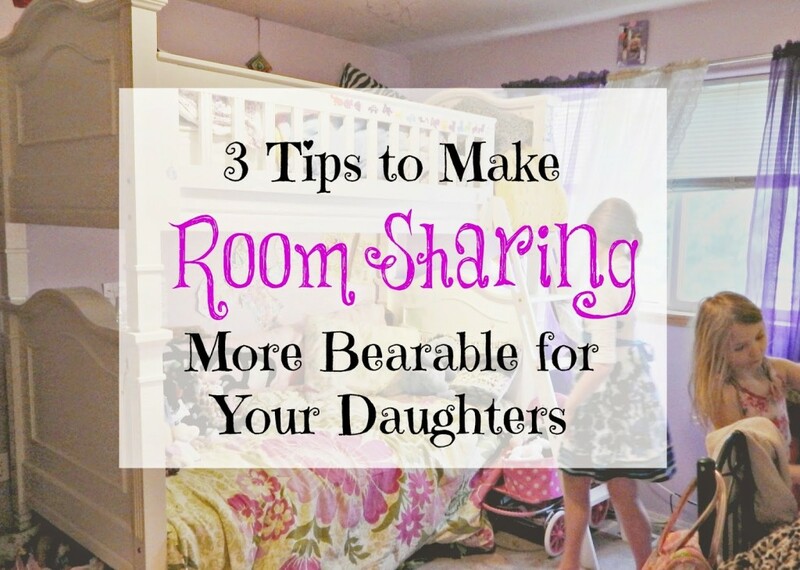 What tips do you have for sharing rooms? 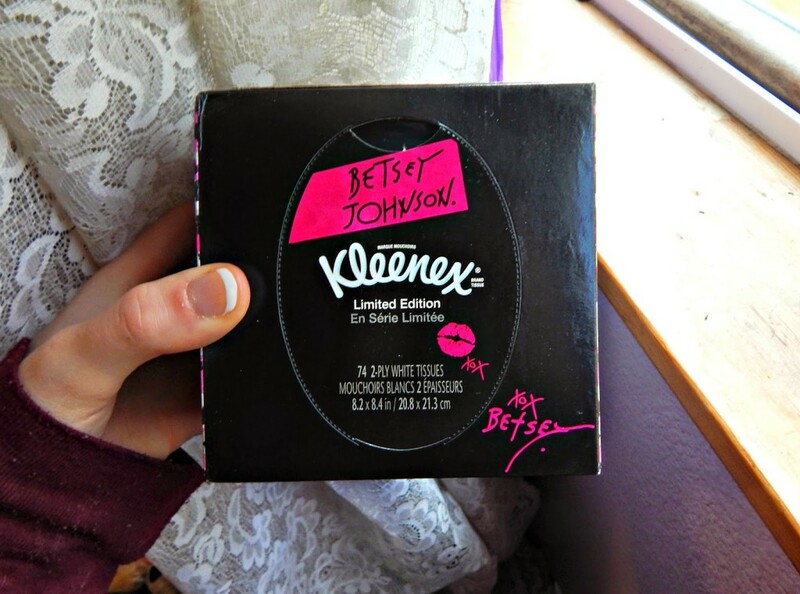 It’s not easy, but I just always try to remind the girls how lucky they are to have a nice room in our own house with a backyard – and hope that they learn to count their blessings a little more each and every day.Right now Betsey Johson Kleenex® Tissues are available in select Kroger and Kroger banner stores. Purchase two specially marked packages of Kleenex® Tissues in one transaction at Kroger stores and receive a reward code valid for a $5 Visa Digital Rewards Virtual Account via text message between 4/1/15 – 4/30/15. Reward code must be activated by 5/31/15 and is void if not activated by expiration date. Virtual Account expires 2 months from the date of activation and will be void if not used by the expiration date. Virtual Account can be used online wherever Visa debit is accepted for digital content purchase(s) up to $5 and use governed by terms in Account holder Agreement https://www.activaterewards.com/Kleenex/terms_and_conditions. Digital content may not be available for all devices. No cash value. Not for resale; void if sold or exchanged. Cannot be replaced if lost or stolen. Not valid with any other offer. Offer and Virtual Account valid only in the U.S., excluding U.S. territories. For full participation instructions, go to www.activaterewards.com/Kleenex. Issued by MetaBank®, Member FDIC, pursuant to a license from Visa U.S.A. Inc. Digital Reward is powered by Fandango Loyalty Solutions, LLC. ©2015 Fandango Loyalty Solutions, LLC. All Rights Reserved.